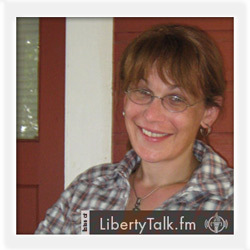 Listen to the Allison Bricker Show on your schedule and never miss an episode again, via the Liberty Talk FM On-Demand podcast archives. The Liberty Talk FM on demand archives also give you the option to share, embed, download or subscribe to the show. You can also join the conversation via the comment section located within each episode page. Muslims to Blame for America’s Problems? Wait What? Raymond Powell: Is Freedom a Myth?